Duetto is the last addition to Enjoy solutions with squared geometric design: to include these pieces in a modern and innovative outdoor furniture context. 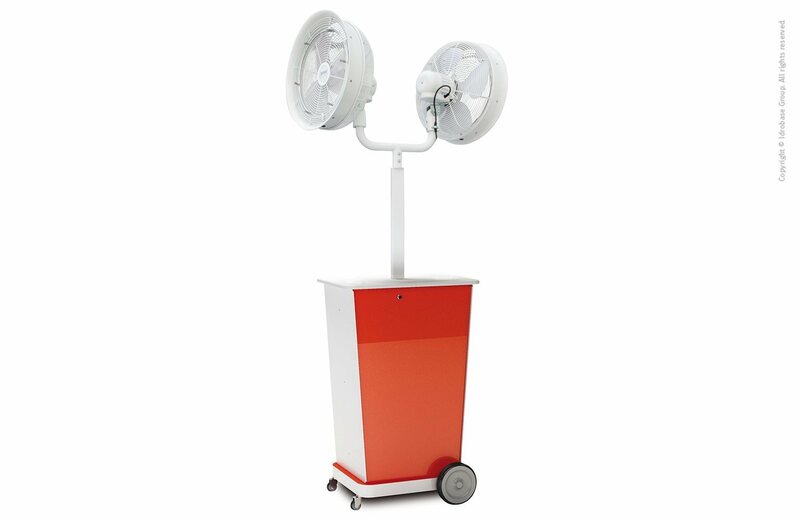 We have inserted a double fan on the Atmosfera 90 base: this way we have doubled the cooled area. 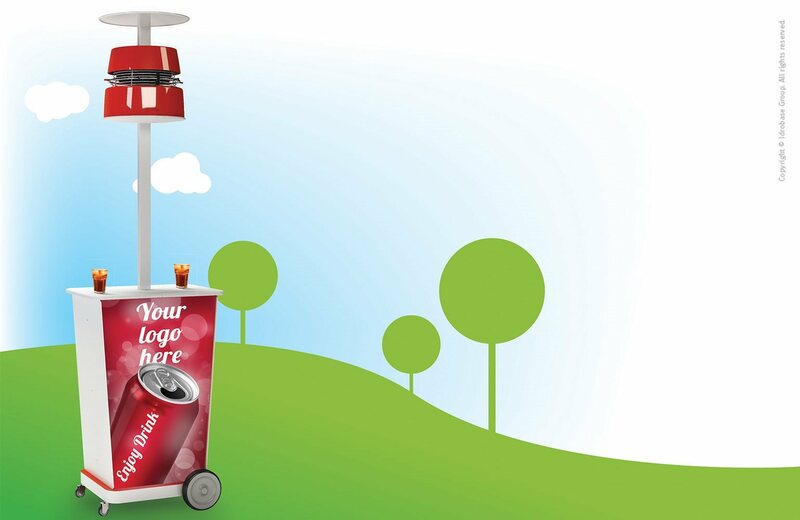 A single system for a freshness that surrounds you, thanks to the misting action. 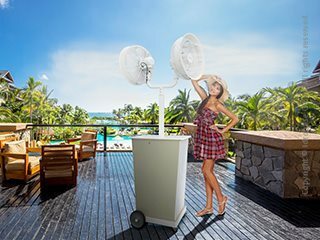 Enjoy your Life now offers the widest variety of programming: the two fans are independent so you can adjust speed and starting. Choose a misting system easy to use and simple to install. Duetto is a Made in Italy solution, available in Rosso and Crema colors. 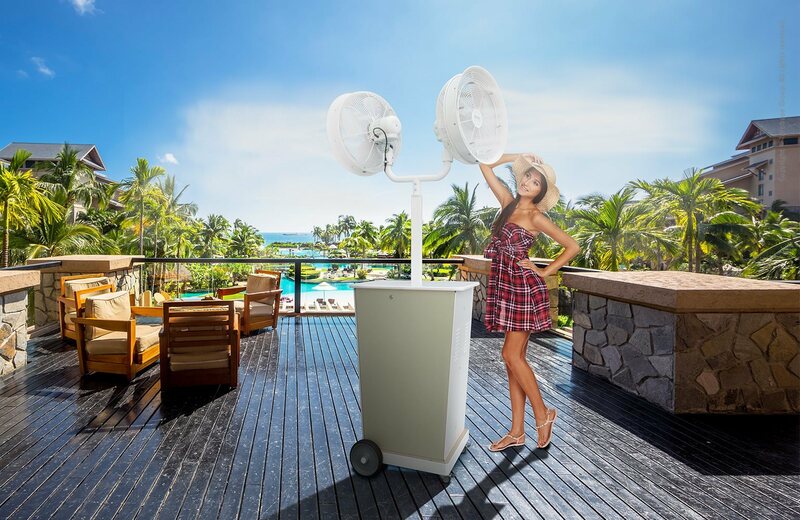 This system combines a misting with two fans, and it is especially suitable for all areas in need to relieve heat as beach resorts, pool sides, entertainment centers, bars, restaurants and kiosks. Duetto decreases considerably the temperature in the surrounding area, keeps mosquitoes away, and neutralizes dust and odors as well. The wide table also makes Duetto the ideal meeting place for a drink with friends and family. A further trait is given by the possibility to customize the external surfaces on both sides of Duetto base and upper part coating i. 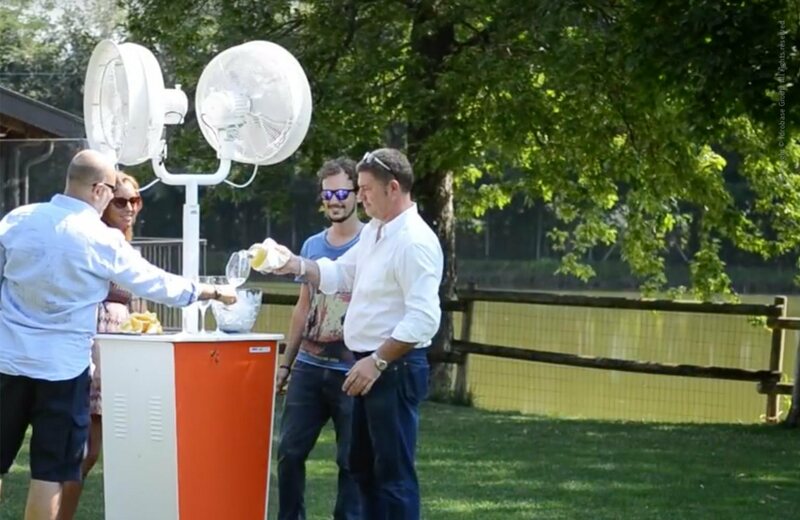 It is an added value, specially designed to create new business opportunities for bars, restaurants, swimming pools, beaches and more generally any business with outdoor public areas.